A one-time local landmark in Porthleven, `BUENOS AIRES` Row has long since disappeared from the edge of the Outer Harbour. 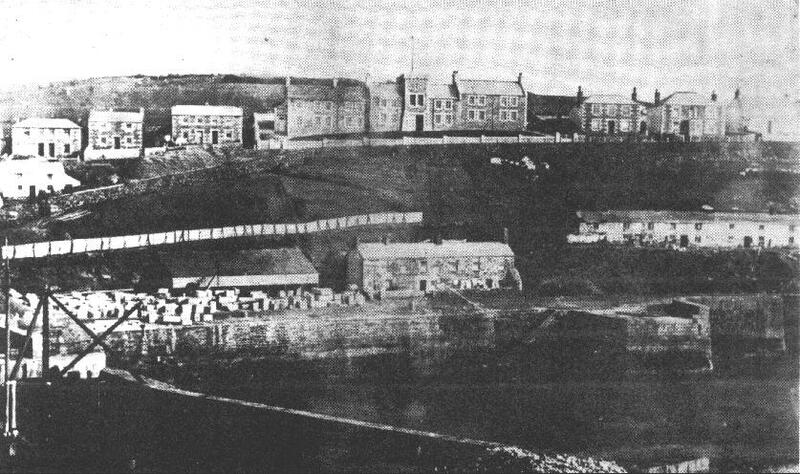 The row of small houses stood on the site now occupied by BAY VIEW TERRACE. They were constructed from materials salvaged from a ship by the name of `Buenos Aires` lost near Porthleven. In the early 20th Century Mr. John Delbridge constructed a row of more modern houses on the same site. 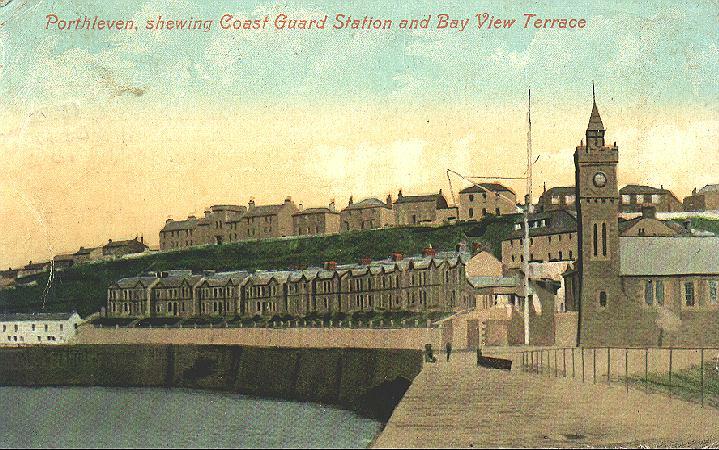 However, after he emigrated to South Africa and the properties sold, the row of houses had their name changed from DELBRIDGE ROW to BAY VIEW TERRACE.